What is Tucker? Part 3: Ability to be Left Alone | Andrew Greenberg - The site of game designer Andrew Greenberg. All opinions expressed here are my own and are not reflective of any organization to which I belong. In my last post, I talked about how one of Tucker’s characteristics is how easy it is to get to know your neighbors. An equally important characteristic is how easily it is to get people to leave you alone. A lot of folks moved to unincorporated Tucker specifically to avoid being bothered. 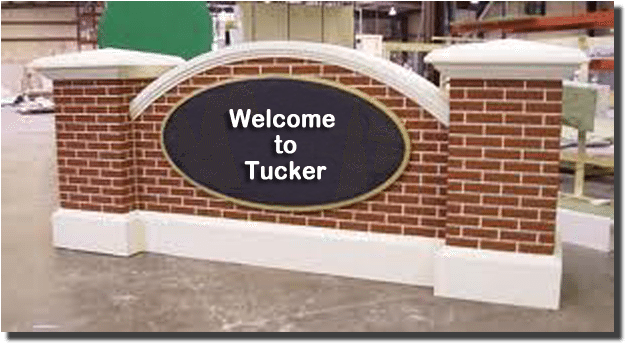 People in Tucker are approachable, but they are not going to force themselves on you. There is an old adage that I agree with, that “people want to know your business when they have no business of their own worth knowing.” Tucker may not be the city too busy to hate, but it is an active city with much to do, and even more to do outside of city limits. I have lived in a handful of Tucker neighborhoods since the mid 90s and worked in a number of others. One characteristic I have found true throughout the city limits is that people’s’ desire to know about you directly corresponds to your willingness to approach them. There might be an initial hello, but if you do not make an effort to move things past that point, already-established residents will not push the point. If you want to put forth that effort, then that Tucker friendliness I discussed in Part 2 kicks in. Otherwise, they are perfectly happy to leave you alone. When I first moved to Tucker, I rented a house in an older neighborhood. I was head down in starting a new business (located half a mile from the house I was renting), and had no time or energy to devote to neighborhood matters. Neighbors would wave, but I almost never spoke to them. About a decade later I moved back into a different house in the same neighborhood, but had more time for community matters. The same neighbors still lived there, and when I approached them, they were more than happy to talk and involve me in their activities. As long as I wanted to be left alone, however, they were glad to oblige. A number of people I know bought homes in Tucker specifically to avoid over-active homeowner associations and restrictive neighborhood covenants. Now that Tucker is a city, there will probably be more concern over code violations than when it was unincorporated DeKalb County. However, since the city is still finding its bearing, I suspect code enforcement will not prove overbearing. It has been clear to me that a trait of Tuckerites is their willingness to respect other people’s privacy. Has that been your experience as well?